Time for a new e-Team Blog hop. 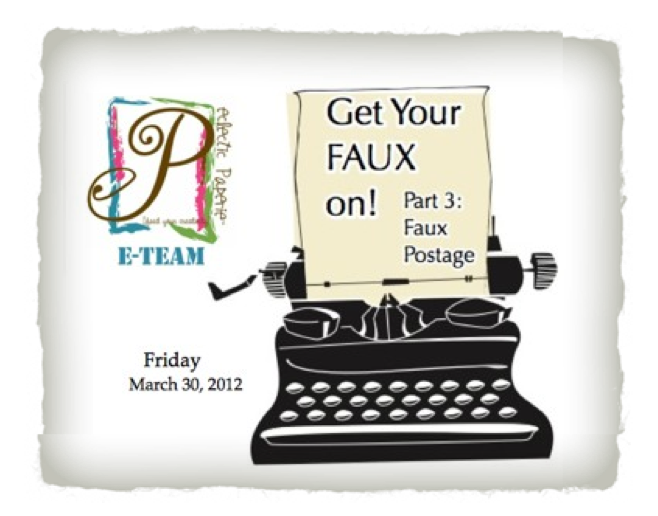 The e-Team is ready to share Part 3 in our "Get Your Faux" series. We are featuring Faux Postage today. Faux Postage is simply a technique to feature your stamped projects to mimic postage stamps. It can be as versatile as you want by customizing the "postage size" you would like to work with. There are a variety of Faux Postage techniques and tutorials out in the blog world. The e-Team got jump started by referring to the Splitcoaststampers tutorial by Beate Johns that you can see HERE. 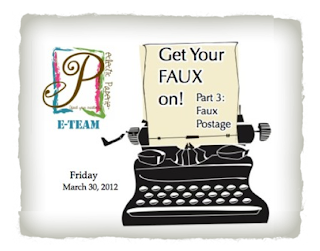 Visit the e-Team blog participants to see their Faux Postage creations. There are a lot of variety in design and use of this Faux Postage look. Please leave the e-Team comments beginning today - Sunday, April 1st. Winners will be announced Monday, April 2nd on this eP blog. Starla Nelson is not joining us today but make sure you check out Exploring Creativity to see what she is up to. There are many free templates available online if you do a search. 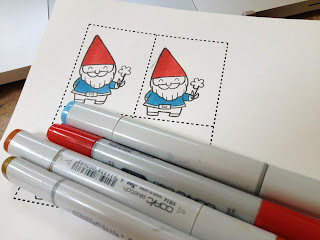 I had a new Lawn Fawn stamp (Gnome Sweet Gnome) that I wanted to play with but found that Mr. Gnome was a little bigger size than a traditional postage stamp. I created my own postage outline using Pages on my Mac. Just had to create some rectangles with dotted outlines. Traditionally, you would create a mask for this faux postage technique but I wanted to go a more simple route. Picking out the colors I wanted to use, the coloring began. Mr. Gnome dude is so cheerful and was the perfect image I needed for this springtime card. I reached for the new Lawn Fawn papers in a 6x6 paper pad. The design is called Bright Side. Love all the colors and cute designs. I really wanted simple and easy so I cute some strips to layer on my 6x6 size card. I always find a little Distress Ink adds some dimension and interest to any project. I created two cards with the image and my self-made faux postage template. No masking was involved, just cheerful papers & some Copic Markers. You can always find all the new product arrivals at eclectic Paperie in our Brand Spankin' New section. We will not be carrying stamps anymore but you can go directly to most of your favorite stamp companies as they sell directly to consumers on their websites. Wishing you a great last couple days of March Madness. Don't forget to see how the eclectic Paperie Blog Team (AKA The e-Team) got their faux on during this blog hop. Their projects will inspire you to Get Your Faux Postage On! Beautiful cards! I am in awe of the depth you got on the last card down! Amazing what the inked edges did for this! Love those papers too! Very beautiful cards. I love them. The little gnome is to cute. Thanks for sharing, Johanne L.
I'm so happy to be reminded of this fun technique - and, it's just in time - I've been stuck on making a card that needs to happen. Thank you. Very cute cards, love the paper and what you did, thank you so much for sharing them and the chance to win. The gnome is very cute! I love the way you cut the layers in the vertical card...gives the illusion of 3D. This was a fun hop...I forgot how much fun faux postage can be! I have never tried faux postage before! Now I have to! I learned so much today by checking out the blogs. Thanks for making them possible. 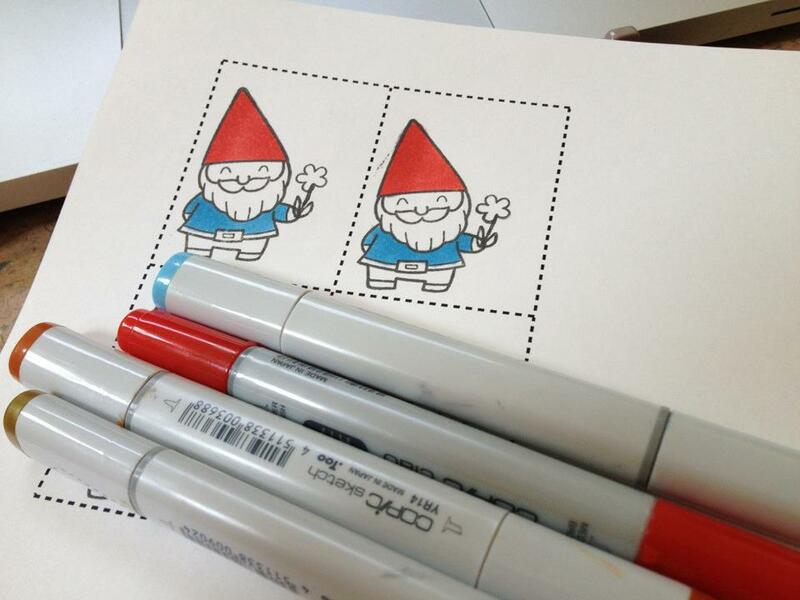 the gnome is so cute...love the postage idea. I'm not a 'cute' person but that little gnome is to die for! Love the blog hop...I miss seeing all that the dt creates for your challenges! Both cards are so cute! Love the little Gnome! Off to visit the DT and thank you so much! Happy Weekend! these are so cute! thanks for a great blog hop. Yes, Mr. Gnome dude is adorable. Gnomes were such a big part in my German upbringing with all the folklore tales that I always have a special place for gnomes. (Although they do make me homesick :-). Great cards. Love the colors and love your card design. Need to CASE that because it's a great way to use up strips of papers (which I seem to have hundreds of). Wonderful eye-candy and inspiration on this hop! 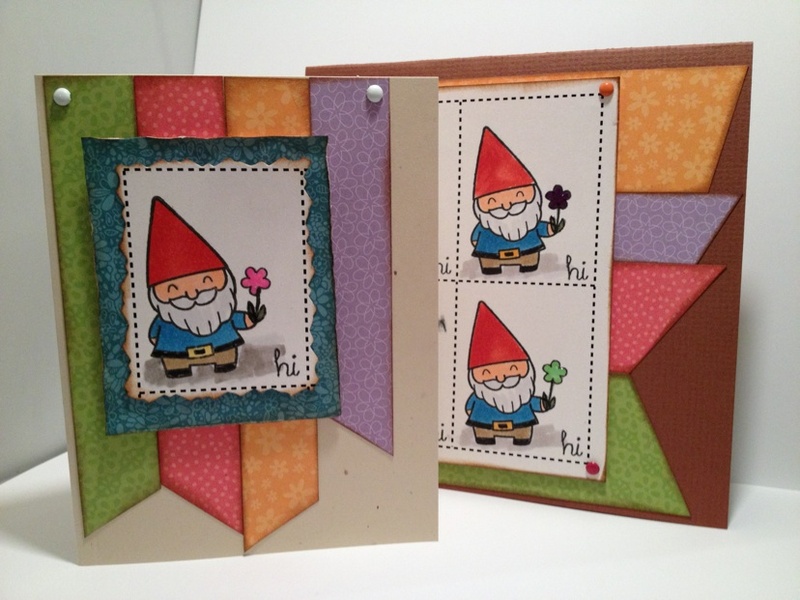 Love your gnomes and how you showcased them in such a fun way! Great cards. The angle cuts on the dp give so much dimension to the cards. 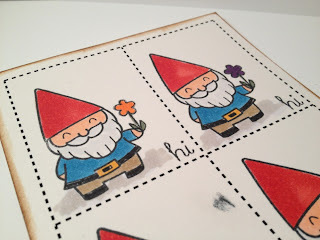 I like your cute little gnome stamp! Fun hop! And I really appreciate that the hop doesn't go to 20 or 30 blogs like some do! Wow - love the paper mind game you got going here!! What a great idea and it gives the card such a unique look. Super job on the gnomie!!!! The colors ore so cheerful. Thanks for sharing. Stinkin' cute! 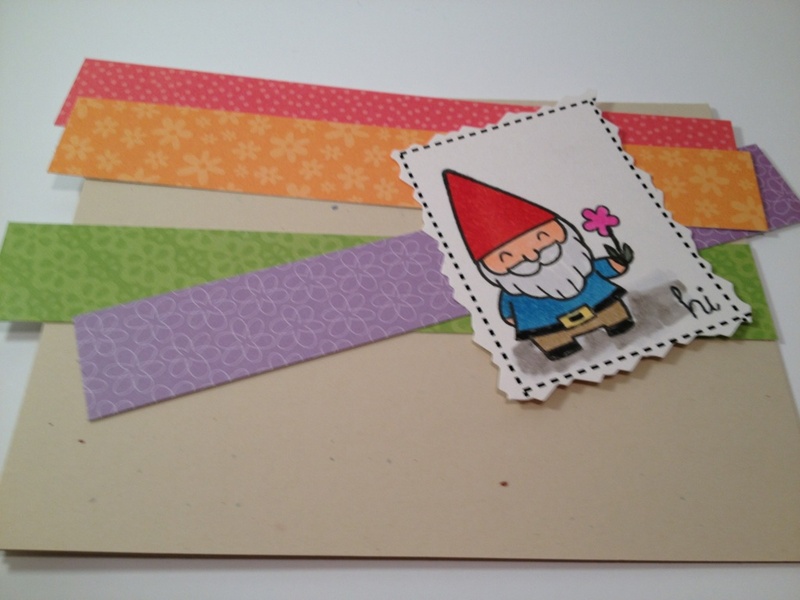 That gnome works beautifully for the postage idea and your coloring is fantastic! Perfect CAS cards. Everybody used a different technique to make their postage. Creativity knows no bounds in this group! That little guy is so cute! I'm going to have to try this out! love the cute little gnomes! great card! Everyone's postage has turned out so great! thanks for another fun hop! Great blog hop! Such a cute little gnome. Love him! Mr. Gnome Dude is so adorable! Love all the bright colors. Really enjoy faux postage so thanks for such a wonderful hop and inspiration! I luv your Gnome cards. You really got alot of dimension in your cards simply by the angles on the backgrounds... I'll have to try some of that on some scrapbook pages I'm doing today... thanks for your inspiration! I like your little gnome and the colors you chose for your poject. 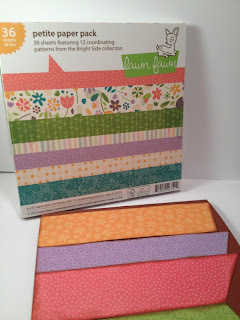 I also like your easy way to make faux stamps! thanks for sharing and thanks for the chance to win something. Your little gnome is so cute! Love the way you made your card with all of the bright colors. Thanks for sharing. Enjoyed your cards, looking forward to seeing more! The faux postage you created are just too cute. The DT did a wonderful job on the challenge. This art work screems SPRING which I love! The knomes are so darling. love your cards! thank you for sharing. What great cards, Daisy! I love your version of the faux postage! !